Over the last ten years, smartphones have replaced MP3 players, PDAs, cameras and - for some - even dedicated portable computing devices like laptops. Now, smartphone and wearable vendors are trying to replace your wallet by cementing themselves as a crucial part of the mobile payments space. If you’re confused about things like Apple Pay and Samsung Pay - here’s everything you need to know. What are mobile payments services? Mobile Payment services (also known as mobile payment platforms or digital wallets) is a term that refers services or apps that allow you to pay for things with your phone or smartwatch (via a connected credit or debit card). The basic idea here is for these devices ultimately replace a physical wallet, allowing you to carry one less thing. Why would you want to use one? Well, as mentioned above, there’s an appealing convenience that’s central to the whole concept of mobile payment services. You already always have your phone on you all the time anyway, why not use it as a wallet? Why might you not want to use one? Well, there are a couple of things to highlight here - most of which occur on a practical level. First of all, your devices can and will eventually run out of battery. Physical cards don’t suffer that drawback for obvious reasons. Likewise, not every shop out there supports payment via EFTPOS let alone specific mobile payment services like Google and Samsung Pay. Online shopping can be tricky for similar, albeit more-digital, reasons. Then, there’s the payment services themselves to consider. These days, most major banking and financial institutions are supported by most of the major mobile payment services but there’s still a chance that - for whatever reason - your current bank might not support it. On a practical level, mobile payment services also just extra steps to the everyday process of paying for things. Depending on your service of choice, you might have to open an app, log-in and then confirm the purchase - which can seem a little excessive compared to the regular contactless payment experience. Security-nerds might also scoff at the idea of putting all their financial details into a single digital box, as it creates a new avenue for attack. Should Google or Apple or Samsung’s pay services ever get hacked or leaked, the potential damage her could be catastrophic. There are tons of mobile payment services out there. However, the five main ones are Google Pay, Apple Pay, Samsung Pay, Fitbit Pay and Garmin Pay. 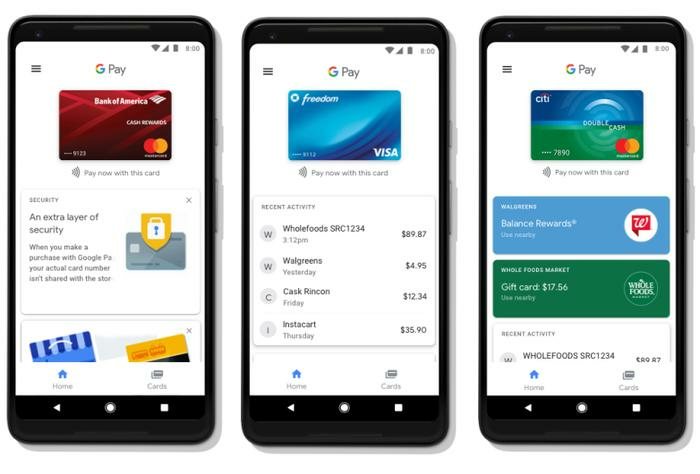 The mobile payment service formerly known as both Android Pay and Google Wallet. Theoretically, anyone with an Android phone can download the Google Pay app. However, your device does need NFC connectivity to use it. You can also use it with smartwatches running on Android Wear AKA Wear OS. How many banks are supported? A lot. 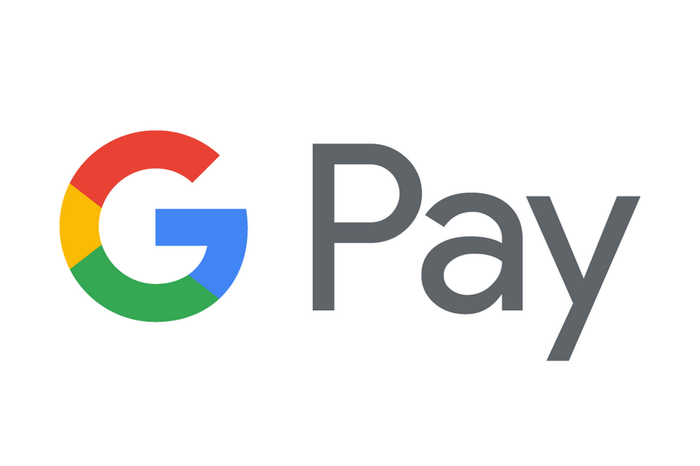 At the time of writing, Google Pay supports Mastercard, Visa and AMEX cards from over 50 banks in Australia. AMEX, ANZ, Australian Unity, Bank Australia, Bank Of Sydney, Bankwest, Bendigo Bank, Beyond Bank Australia, Big Sky Building Society Limited, CAPE Credit Union Limited, Catalyst Money, Central Murray Credit Union Ltd, Central West Credit Union Limited, Commonwealth Bank of Australia, Community First Credit Union, Credit Union Australia Ltd, Credit Union SA Ltd, Defence Bank Limited, Family First Credit Union Limited, Firefighters Mutual Bank, First Option Credit Union, Ford Co-operative Credit Society, Goldfields Money, Goulburn Murray Credit Union Co-Op Limited, Holiday Coast Credit Union Ltd, Horizon Credit Union Ltd, Illawarra Credit Union, ING Direct, Intech Credit Union Limited, Laboratories Credit Union Limited, Macquarie Bank, Maritime, Mining & Power Credit Union Ltd, Mystate Bank Limited, The Rock, Nexus Mutual, Northern Beaches Credit Union, Northern Inland Credit Union Limited, People's Choice Credit Union Ltd, P & N Bank, Police Bank Limited, Police Credit Union, QT Mutual Bank Limited, Queenslanders Credit Union Limited, Reliance Bank, Select ENCOMPASS Credit Union Limited, South West Slopes Credit Union Ltd, Sydney Credit Union Ltd, Teachers Mutual Bank Limited, The MacUniBank, WAW Credit Union Co-Operative Limited, Westpac, Woolworths Employees' Credit Union Limited and Wyong Shire Credit Union Limited. Apple’s own payments service, and the only payments service available for iOS users. People looking to use Apple Pay need both an eligible iOS-powered device (iPhone 6 onwards, iPad Mini 3 onwards, any Apple Watch) running on the latest version of Apple’s software. They’ll also require an active Apple ID and a credit card from a supported financial institution. 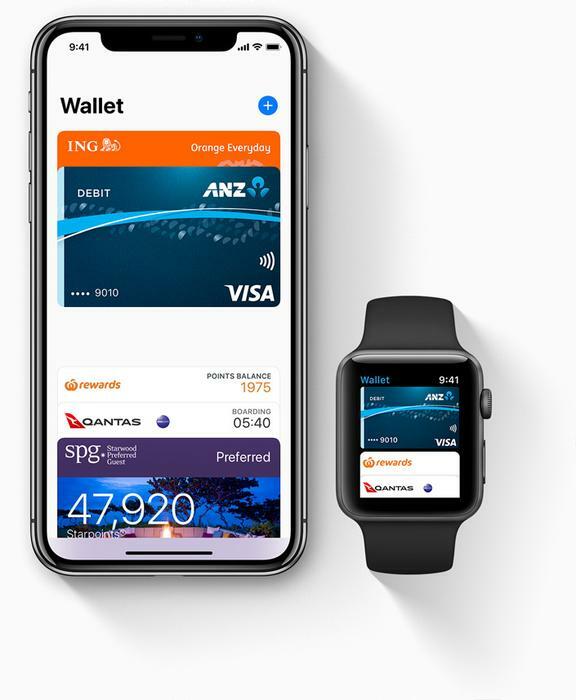 A fair amount, though, after a tumultuous attempt to refer Apple to the ACCC over being unable to access the iPhone’s NFC chip, most of Australia’s ‘Big Four’ banks have yet to embrace the platform. 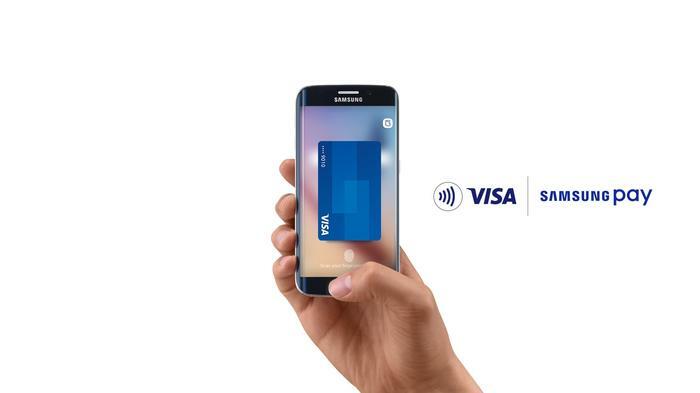 Samsung’s own mobile payments services platform for its customers. If you own a Samsung Galaxy A5, A7, S9, S9+ S8, S8 Plus, S7, S7 Edge, S6 Edge+, S6, S6 Edge, S6 Active, Note 5 or Note 8 smartphone or Samsung Gear smartwatch (S2 and S3 only), you’ll be able to setup and use Samsung Pay. 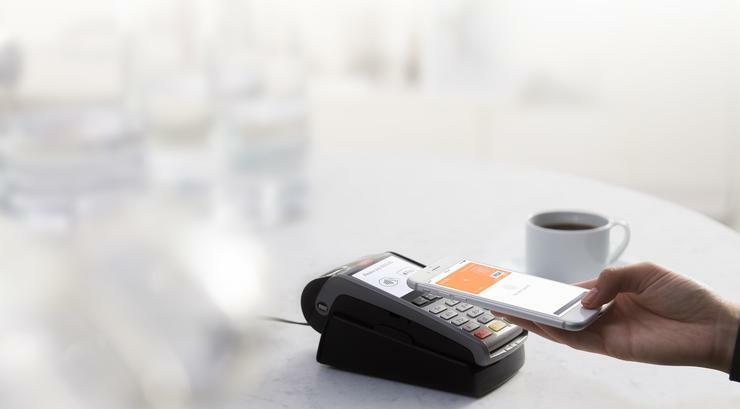 Just under fifty banks are supported by Samsung Pay. Launched with their first smartwatch, the Fitbit Ionic. 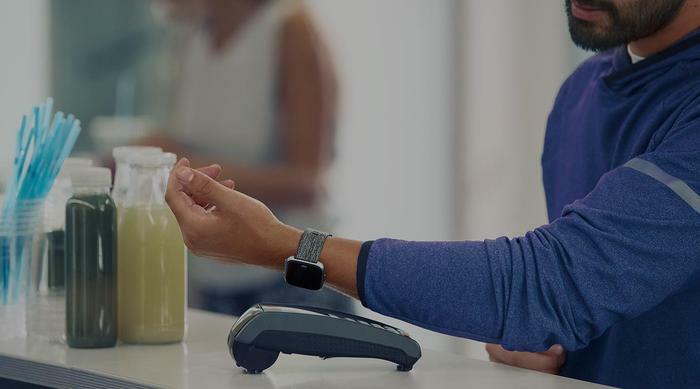 Fitbit Pay allows for contactless payments. At present, Fitbit Pay is only available on the Fitbit Ionic. In the future, it’ll also be available on the Fitbit Versa. At present, only six Australian banks support Fitbit Pay - and even then some of these banks only support specific types of credit cards. 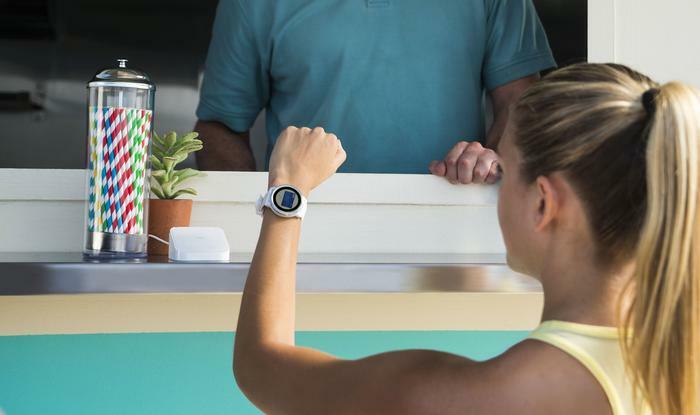 Compared to Google, Apple and Samsung Pay, Fitbit Pay is quite limited. Off the back of their competition launching their own mobile payments platform, Garmin have readied their own mobile payments service for use with their current and future wearable products. Garmin Pay currently only works with Garmin's new vivoactive 3 fitness watch at this stage - so you’ll need to buy one if you want to jump on-board the Garmin Pay platform. At launch, only Commonwealth Bank customers in Australia were able to use Garmin Pay. However, several other banks have since come in board. ANZ (Visa only), Bendigo Bank (Mastercard), Commonwealth Bank of Australia: (Mastercard), Latitude Financial Services (Mastercard), NAB (Visa). Which mobile payments service should I be using? The simplest answer here is that the best mobile payments service is the one that you can actually use. If you’re not already invested in the Apple ecosystem and your bank doesn’t support it, there’s not much point in pitching Apple Pay. 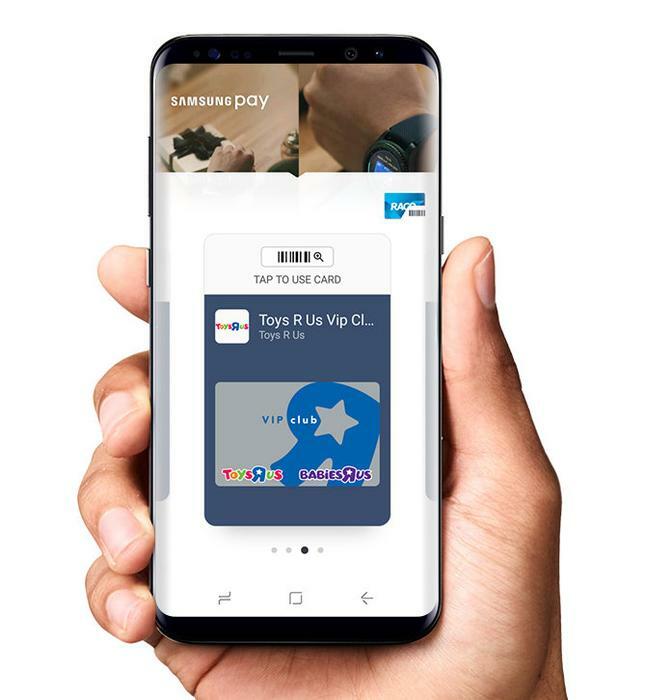 However, if you’re in the position of already owning a Samsung or NFC-enabled Android device, it may be worth setting up the relevant mobile payment platform and seeing whether or not that extra little bit of convenience makes a difference. As with all these kinds of technical things, your mileage may vary.